Dark background with spotlights. Studio. Flat travel icons with long shadow, tourism and vacation. 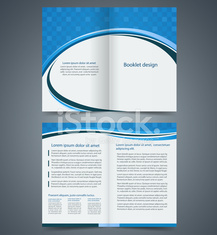 Corporate business stationery bifold brochure templates.